A little discipline. A little dedication. I'm going to do a portrait a week of Milla. Not off to a great start as Week One slipped by already. The photo for this week was not taken with the nice camera, doh, but the stupid phone. A friend's family beach house, a day and night and adwenture without Charlie. Milla's first dip in the ocean. 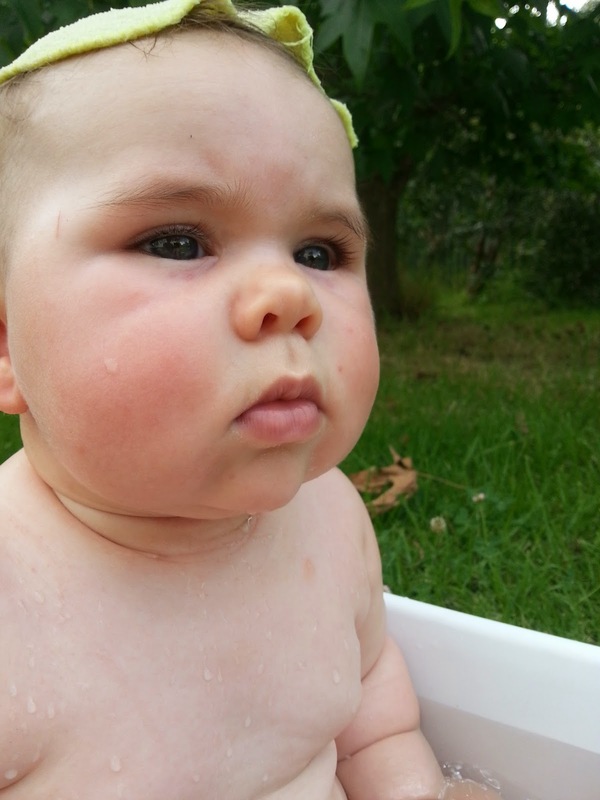 Hot baby taking a bucket bath in the shade at Somers. Linking up with the 52 Project.